The Federación Argentina de Cartoneros, Carreros y Recicladores – CTEP placed the Tent of Cartonero´s Dignity in Plaza 25 de Mayo in Rosario. The measure will last from June 21st-23rd, 2017 and accompanies the draft ordinance ‘Public Service for the Recovery of Recyclable Waste’, which was presented this morning in the Deliberative Council. The draft ordinance proposes the creation of a Public Service for the integrated and differentiated management of recyclable solid waste and the inclusion of the urban waste pickers in its development. Among the activities of the day, we highlight the panel “The situation of workers at the present time and their challenges” with Laura Ferrer (COAD), Carlos Ghioldi (CTA T), Gustavo Teres (AMSAFE – CTA A) and Gringo Castro (CTEP). 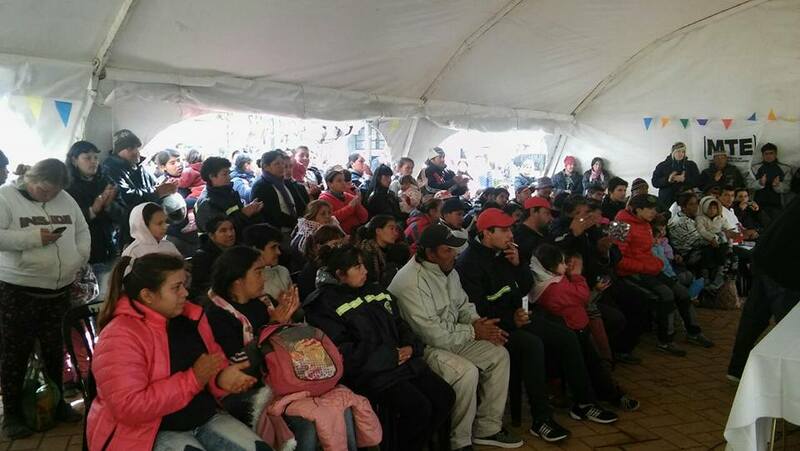 And the workshop on zoonoses, with veterinarian doctors of the Federation of Cartoneros, who told about the work they perform daily with provincial carriages so that their horses are cared of and healthy. 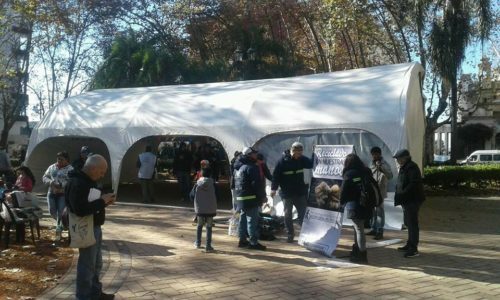 The tent is a response to the government’s persecutory plan, which only shows interest in getting the horses out of the street without proposing a real solution for the workers. Driving a project that can change the way we treat our waste requires the support of thousands of people. It is necessary and urgent to change the collection system, and to do so, the first step is to recognize the environmental service provided by those who already recycle massively, restoring their labor rights. Stop the police harassment and persecution of the cartoneros in the different municipalities. A round table with participation of all involved and with real will to move in a concrete and positive sense for the resolution of the conflict. The elaboration of a plan of action to achieve the differentiated collection with social inclusion in all the municipalities of the province.